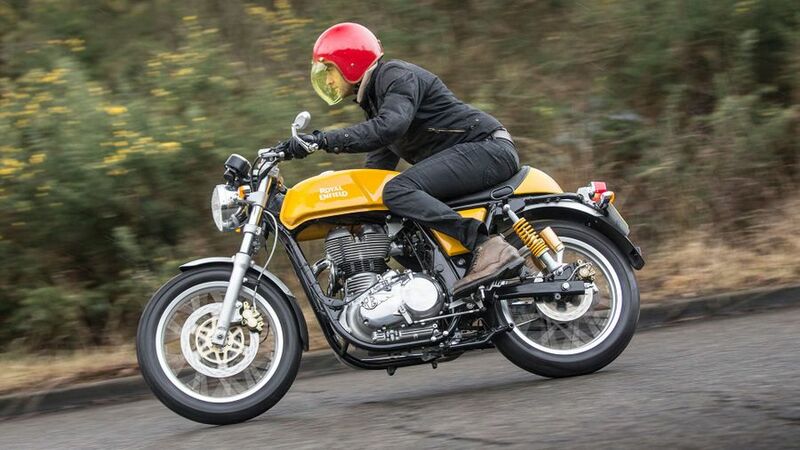 This A2 licence-friendly Royal Enfield Continental GT harks back to a simpler, easier time, but can it live with other, more modern retros? 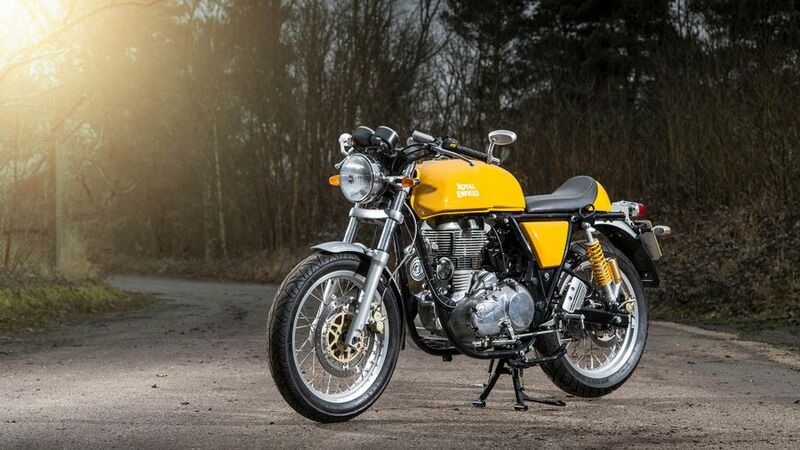 The Royal Enfield Continental GT throws a sepia-dipped brush over yesteryear. It embraces a simpler, cheaper form of motorcycling, abdicating responsibility for the complexity that plagues most modern motorcycles. In isolation, it’s a charming café racer but it feels outmoded in the company of similar, albeit pricier, retro rivals. 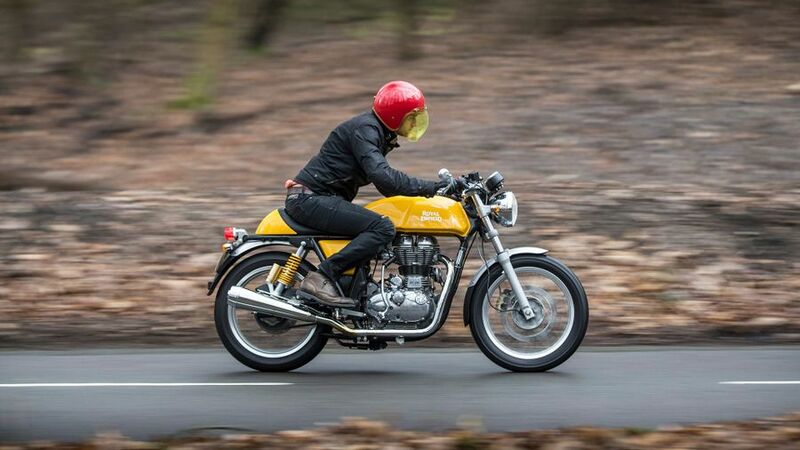 Interested in buying a Royal Enfield Continental GT? 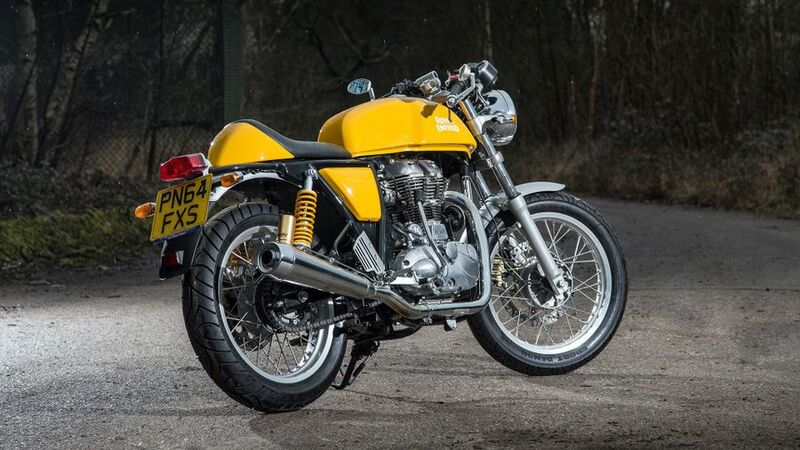 The Royal Enfield Continental GT is a café racer that has its origins in Birmingham, with a 250cc version that was built in Redditch between 1964 and 1967. Today’s GT may be manufactured at a state-of-the-art factory in Oragadam, India – Royal Enfield has been owned by Eicher Motors since 1994 - but the basic silhouette remains similar. The cropped front and rear mudguards, wire-spoke wheels, seat hump and clip-ons conspire to create a profile of the most beautiful stance and proportion. 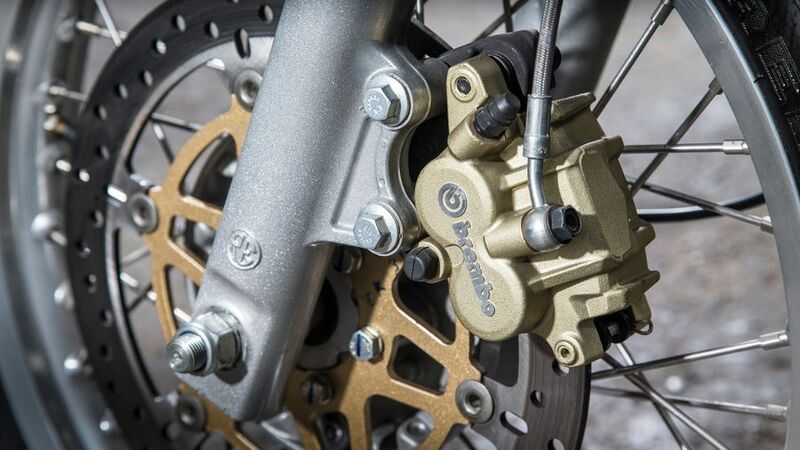 There are a few nods to modernity such as a Brembo front brake, adjustable Paoli rear-mounted shocks and a double cradle frame co-developed by Harris Performance, the same company that built frames for Barry Sheene. The Continental GT is every inch the old skool Café Racer – seat hump pushing you forward, knees high and hugging the sculpted tank, shoulders hunched as you stretch over the adjustable clip-ons. It’s very compact so those riders slightly lankier in leg will enjoy plenty of rest stops, and may prefer to ride resting the balls of their feet on the pegs. The chrome-edged dials are simple, classy and easy to read, too. Aside from a lock on the Monza-style fuel filler cap and a centre stand, the Continental GT offers few concessions to practicality. The turning radius is surprisingly large, and while you can spec an optional slab seat to accommodate a pillion, the short wheelbase would make two-up a squeeze. An electric start is standard, but a kickstarter is also fitted for an occasional trip (or bite) down memory lane. The Continental GT uses a 535cc version of the air-cooled, single cylinder powerplant that has kept the Royal Enfield Bullet in production since 1933. Thankfully, it now boasts fuel injection, electric start and a sweet-shifting five-speed gearbox, but a modest 29bhp and a top speed of 90mph isn’t going to break any land speed records. Yet still, for reasons rational or otherwise, the GT can be dazzlingly, hilariously good fun on an empty British B-road. Push the tempo beyond 4,300rpm, however, and you elicit little more than harsh vibrations through the frame, bars and pegs. ABS isn’t available but the two-piston Brembo caliper gripping a 300mm disc up front, and a rear 240mm disc offer decent power and modulation. The Continental GT feels best suited to a set of long sweeping A- and B-roads. The 18-inch Pirelli Sport Demon tyres offer predictable grip levels and the lightweight nature makes it remarkably easy to turn in and adjust your line. Faster progress does fluster the suspension, which is either fun or uncomfortable depending how much time you’ve spent in the saddle. Motorway journeys are best avoided as the combination of buzzy frame, bars and lack of screen make progress particularly unpleasant. Although the Continental GT is relatively new to the UK, the modern Bullet-based engine is impressively reliable, extinguishing any ancient jokes about ‘Royal Oilfields’. Some customers have fitted gaiters to prolong life on the front fork oil seals, but we don’t expect ownership to be any more troublesome. All bikes receive a two-year manufacturer warranty as well as the first inspection. 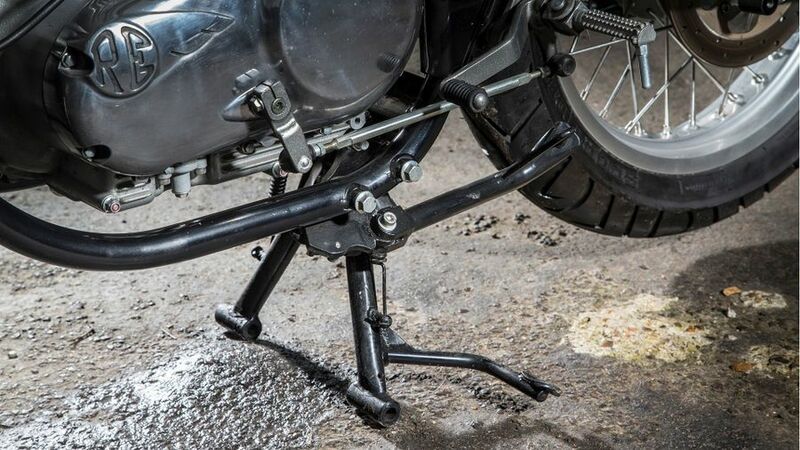 Thereafter, Royal Enfield recommends a health check every 3,000 miles or every year, including chain adjustment and fresh semi-synthetic oil, as it is shared between gearbox, transmission and engine. That said, given the relative simplicity of this engine, performing an oil change with a few basic tools from the shed wouldn’t be too much of a hardship. Standard equipment includes a side stand, digital fuel gauge and a speedo, but little else. However, like the Ducati Scrambler and Triumph Bonneville, Royal Enfield is pushing the lifestyle element of the Continental GT so it transcends dedicated bikers and fashion followers. Hence why on the Royal Enfield website, you’ll find optional smoked screens and sports exhausts for sale alongside branded T-shirts, helmets and jackets. 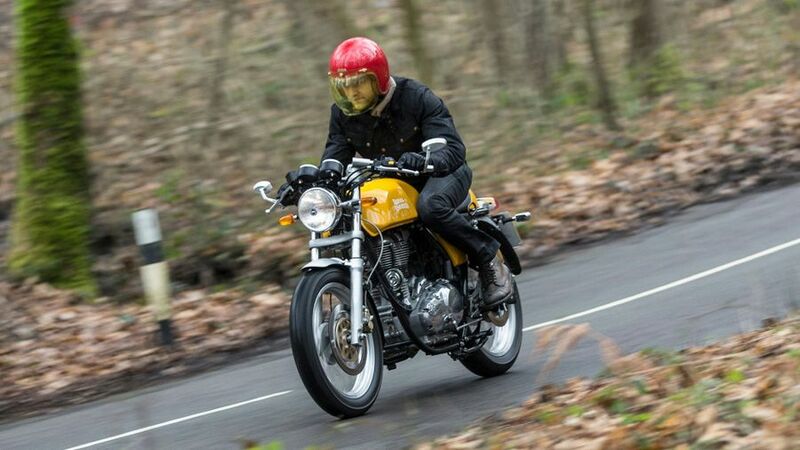 The Continental GT offers period style and charm over outright speed but quite how you’re going to use this bike will determine whether you’ll relish ownership. If you’re ready to embrace a mild-mannered motorcycle in a ‘Sunday best’ cruising context, then the GT should be on your list.